Back to school – and getting up this morning, post holidays, was a struggle. I know they will be tired today after a couple of weeks of late nights and getting up mid morning. 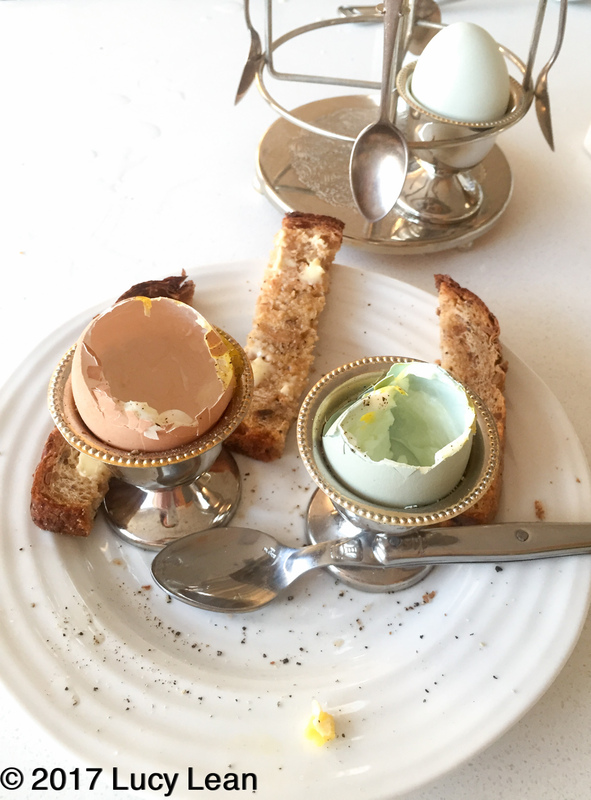 A seven o’clock start was a shock to the system so I tried to ease them out the door with a nutritious family favorite – eggs and soldiers. 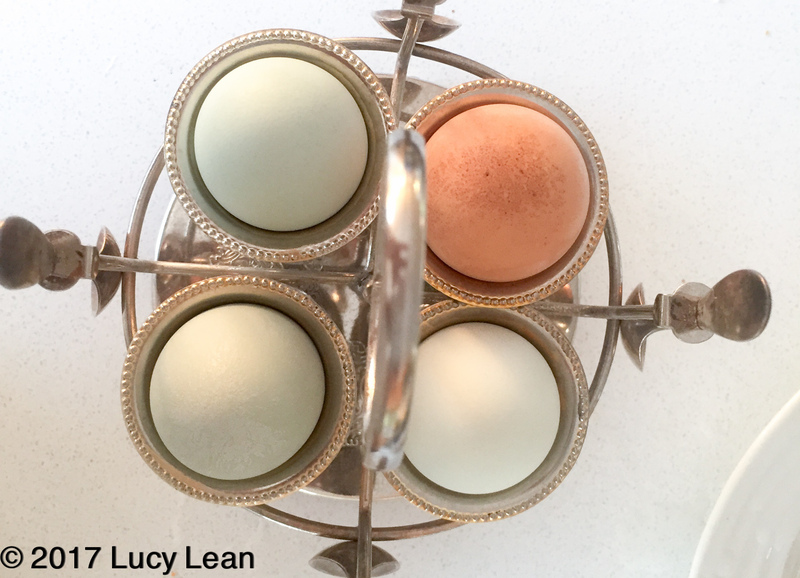 I’m reminded of the 50s ‘Go to work on an egg’ campaign – eggs is healthy, eggs is versatile, eggs is easy. 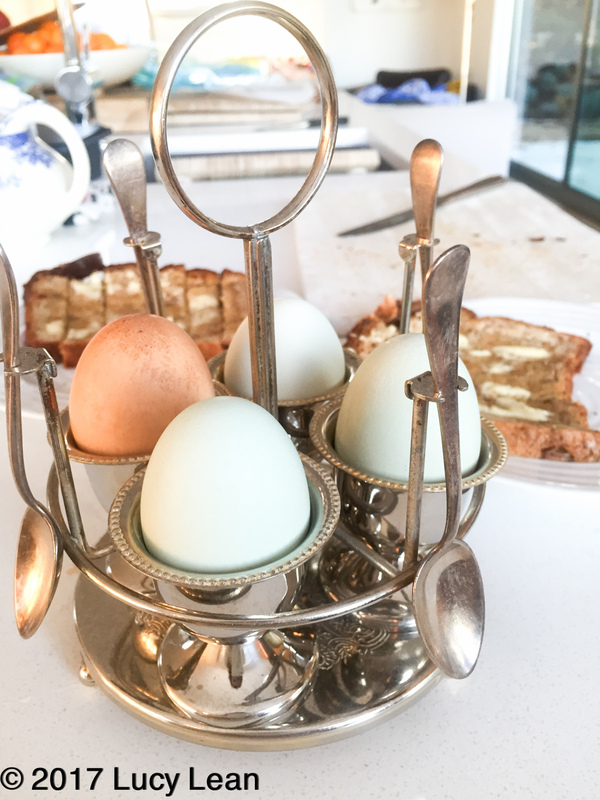 Not all eggs are created equal – always choose organic farm eggs – I am a huge fan of Kaliko Farms eggs from Vintage Grocers in Malibu. Not only do they come in a beautiful array of colors from greens to blues to whites and browns but they are organic and sustainably raised. 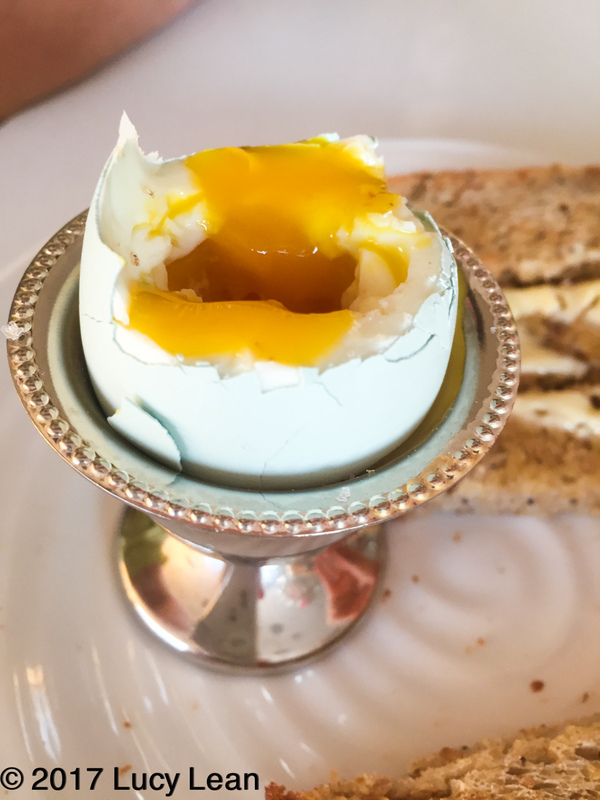 The easy no fail method for getting perfect eggs for soldiers is to put the eggs into a small pan, cover with cold water and bring to the boil on the stove. As the water starts to boil start timing 4 minutes. Whilst the eggs cook make the toast, butter it and cut into strips. Take the eggs out of the boiling water after the 4 minutes and chop the tops off to reveal delicious yellow runny yolks. If you leave the eggs in the water for even a minute longer the yolks will begin to get hard. 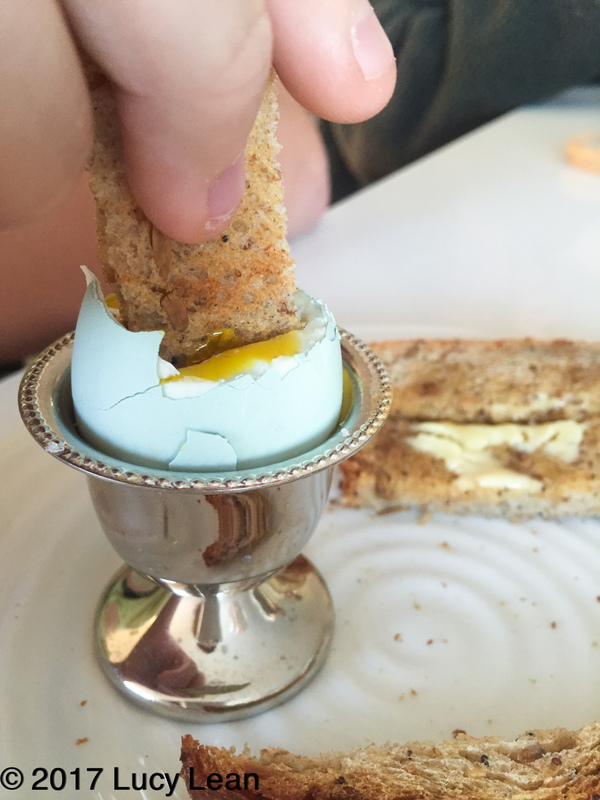 Serve immediately with the toast for dipping. This is a crowd pleaser, even when the crowd is waking up slowly and grumpy. One child suggested I gave them the day off – nice try. Two eggs and a slice of toast seems like a healthy way to start the day. A quick and easy – and in particular healthy start to the new school term. A new campaign in the UK highlights the shocking fact that kids have half their daily recommended sugar allowance for breakfast – the biggest culprit is sugary breakfast cereal. 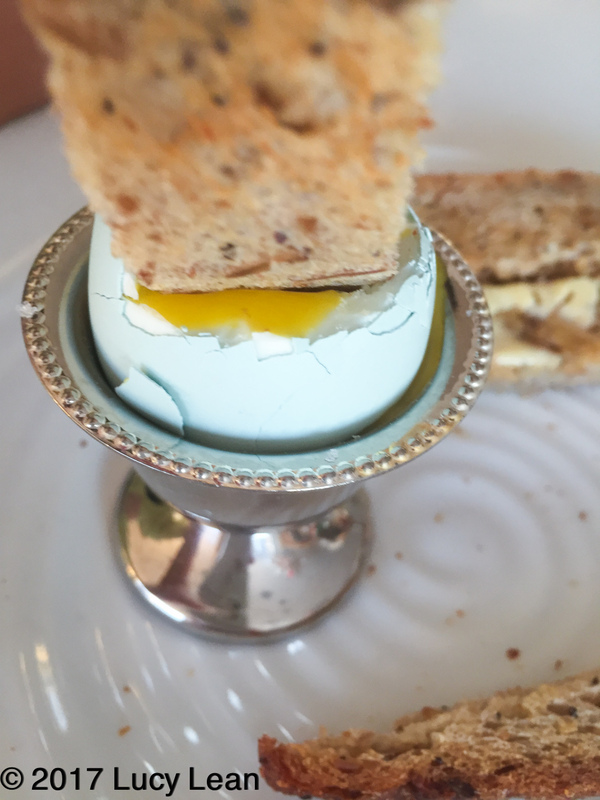 I have never been a fan – opting for eggs over cereal. It does mean that Lucky Charms are a HUGE thrill – but they are kept to a minimum, usually when we are on a trip, as a novelty. As the little video below points out kids are eating too much sugar – especially for breakfast – I, for one, will be cooking up some healthy, low sugar, egg alternatives in 2017. Best of all eggs are ready in less that five minutes, they are high in protein, cheap and yes versatile. Once the kids have departed, school bags weighing them down, I will make one for myself – perhaps topped with some caviar and eaten on a silver tray à la Lean Luxury – obviously! Thank you so much for the kind words about our eggs! We are a small farm trying to do the right thing by our chickens, our grocers, our environment, and our customers. Feedback such as yours is why we do what we do, and keeps us going. The photographs are gorgeous! !